It’s post number 3 in my 2016 symbol series. 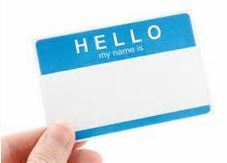 This week I’m discussing names as the symbols they are. When you hear the names Darcy and Heathcliff, an immediate association often comes to mind. Romance readers are likely to draw a line from those names to Jane Austen’s Pride and Prejudice (1813) and to Emily Bronte’s Wuthering Heights (1845). All fiction writers, romance authors especially, dream their characters will stand the test of time as well as those two heroes have. I’m a reader with an author’s perspective on this and I have to say it’s no small feat to inspire an instant association between the character’s name and the literature they’re found in. It shows that not only is a memorable storyline necessary, our character names matter too. I have to wonder if those two heroes would be as memorable 103 and 171 years later if they’d simply been named Dan and Steve? I don’t think so. In the realm of literature, what other names inspire immediate connotation in your mind? Here I’ve made a list of memorable character names. Test yourself. What do you see? See what I mean? My mind makes an association to each literary work when I see those names. Here’s the funny thing. I’m more an informational reader than fiction reader. A few of those works I know of but have never read. Talk about memorable! Those authors still managed to write their characters into my mind despite my not opening their books. Bravo! Today is Author Tina Donahue’s blog day. This entry was posted in Past Posts - you'll never know what you'll find and tagged characters in literature, literary characters, Madeline Archer, Romance, Rose Anderson, Writing. Bookmark the permalink.